Friday again! Oh God! This was a "short week" for me at work because I took Monday off. However, it has been very intense. So, Friday, again, means special. Hope your Father's Day weekend is full of surprises, good moments and love. 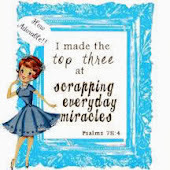 Today I will share two simple projects. 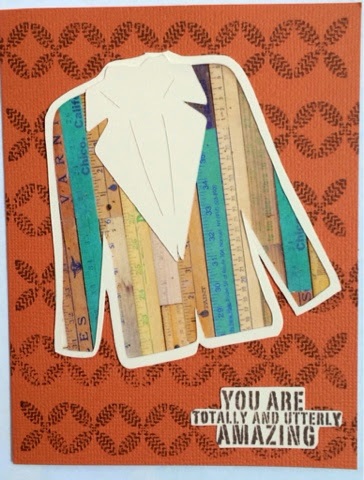 First one is a non traditional Father's Day card for a groovy cool father. I know exactly who he is but won't tell...in case he reads this before he receives the card. 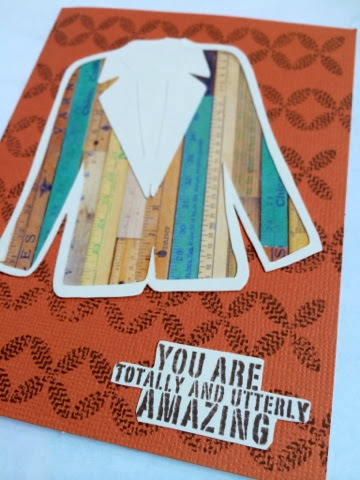 The cool thing about this card is that I made it inspired by scrap paper I was going to throw away. I used the negative of a shape I cut too many times the other day and then I filled with patterned paper and placed over a stamped background. The other project is a tag I made to include with a gift. I wanted to achieve imperfect coloring using watercolor pencils. I first stamped the image and then colored the background around. Then colored using a water pencil and touching the tip of the watercolor pencil to catch the color. 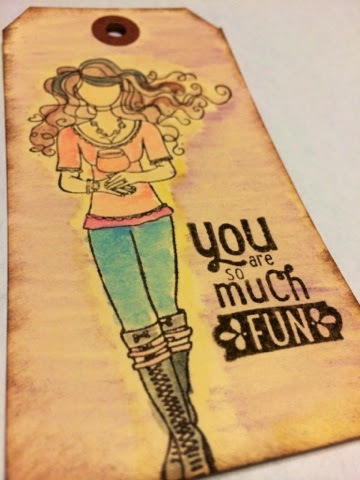 I then colored with yellow around the girl and stamped the sentiment next to her. Tks for stopping by. I will link this post to Unity Stamp Co blog for the Friday's Friends with Flair, so leaving a comment gives you the opportunity to win great prizes. Love the creative father's day card. What a great idea I'll have to give it a try. Thanks for sharing. Card or Tag... ohhhhhh, I love them both!!!! 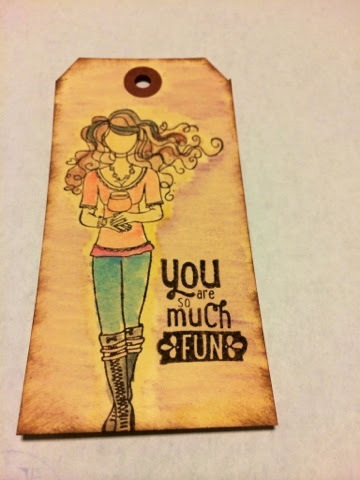 I love this tag great stamp and colors! I love that you used water color pencils. I have some but have not used them. The tag and card are both so fun. Great projects! The watercolour on the tag is lovely! Such FUN and unique projects. Awesome!!! Fun creations! Love your coloring on the tag!